All vehicles, no matter what make or model, have scheduled maintenance requirements. 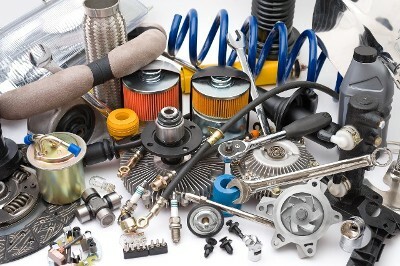 While some are minor, such as oil and filter replacement, others are far more significant. If you wish to keep your car, truck, or SUV performing at the highest level, following a sound maintenance schedule will greatly extend its operating life. At Cartech Automotive & Transmission Repair, our seasoned technicians will visually inspect all of your engine’s components and perform tune-ups in San Antonio, TX. We understand that with each vehicle comes a unique set of needs. As a result, our specialists will help you determine which auto tune-ups is right for your vehicle based on your frequency of use and typical driving conditions. Whatever we discover, you can rest assured that our dedicated team members will see to it that your services are administered and performed right the first time. Staying on top of your vehicle’s recommended maintenance needs can save you money on large-scale repairs in the future. If you’re unsure about how often your vehicle needs service, speak to one of our knowledgeable servicemen and we’ll work to diagnose your vehicle and its components accurately. We look forward to fixing your vehicle and getting you back on the road as quickly as possible. Using top-of-the-line diagnostic tools and equipment, our skilled technicians will determine which components need servicing to put your vehicle’s performance back in good standing. We make it our mission to leave our customers vehicles at their best gas mileage and engine performance. From cleaning air and fuel filters to improving its power output, we have the training and tools to do it all for you. Count on our experts to help you determine which of our auto tune-ups are right for your vehicle. Contact our automotive repair shops for personalized tune-ups that put your vehicle back in good standing. We proudly serve drivers in San Antonio, Helotes, Leon Valley, Pipe Creek, and Bandera, Texas, and the surrounding communities.